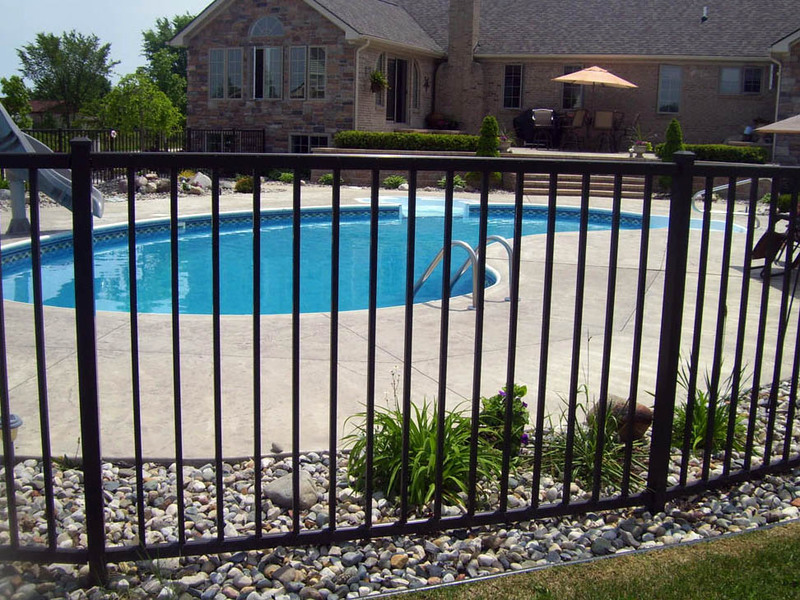 For years D Fence LLC has kept Michigan familes safe, by surrounding their above ground and inground pools with beautiful fencing. Any type of fence can be installed to secure your pool area, but most people choose ornamental aluminum fencing. A free consultation with D Fence LLC, will help determine what type of fence is best for you. 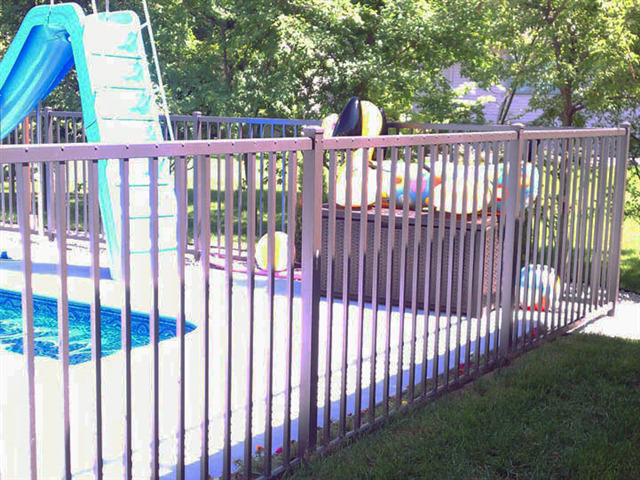 Fences around inground pools are not an option, but a requirement to pass final inspection. Local communities dictate their own requirements, so a little homework will be helpful. Typically pool fences have to be at least 4’ high from the outside of the pool, looking in, with picket spacing so that a 4” sphere will not pass through, but always check with your local municipality.